Happy New Year! 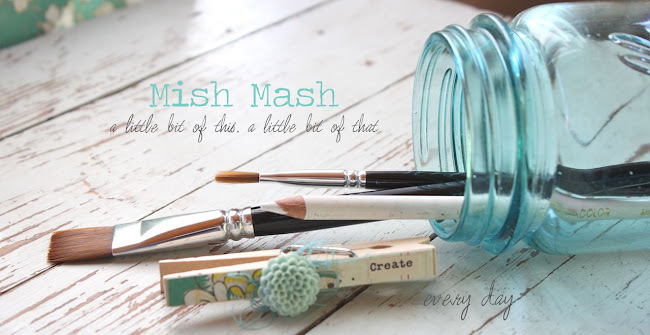 Today I'm announcing an exciting, new monthly blog feature. Over at my Pinterest boards I'll be sharing a monthly inspiration board with a new theme each month. I'll announce the new board here on the blog each month. From there, I will be sharing projects I create from the inspirational photos. 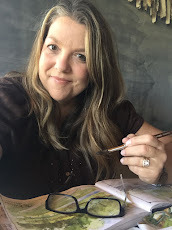 I hope to inspire you each month also, so feel free to email me with your creations or share here in the blog comments. I dearly love the invention of Pinterest. I find myself browsing my various boards a lot because the beautiful photos and links provide such a source of inspiration. I thought it would be fun to pick a monthly theme, browse my own boards for inspirational photos and plop them all into one new, monthly inspiration board. I'll be leaving the boards up indefinitely so you can refer to them often. I also plan to add items to my online shop that fit into the monthly theme. This month will be hit & miss because of the busy holiday and some family illnesses that I'm dealing with. I'm kicking off my first inspiration board with a color theme. After the holidays, I'm a little tired of the traditional red and green color scheme so what better way to fresh things up than with a fresh new color? 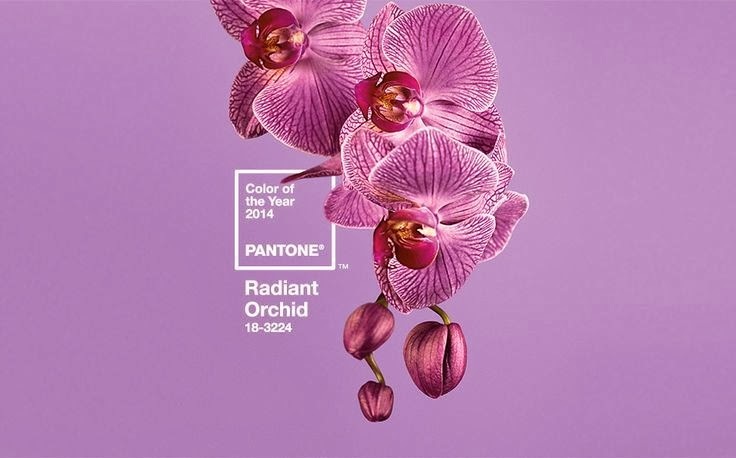 Radiant Orchid it is. 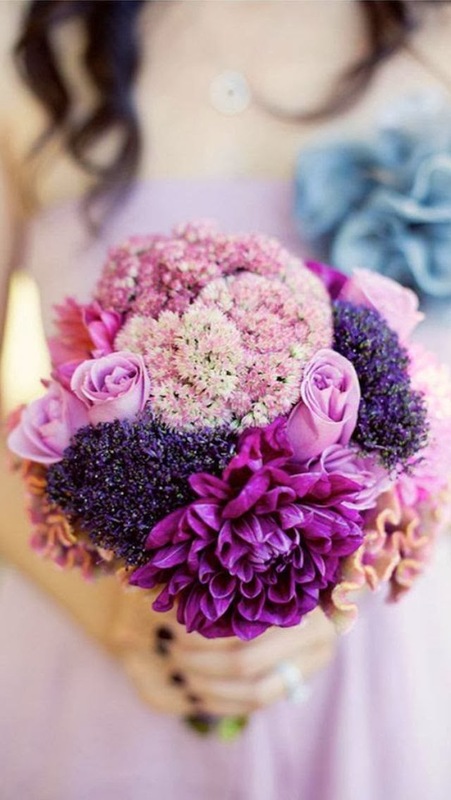 Of course you can use the January Pinterest board for color inspiration. I usually pair several colors together so I'm looking forward to mixing things up a bit. I like some of the pairings below. Hand lettering is so popular and I so want to improve my skills and find some good products to use. 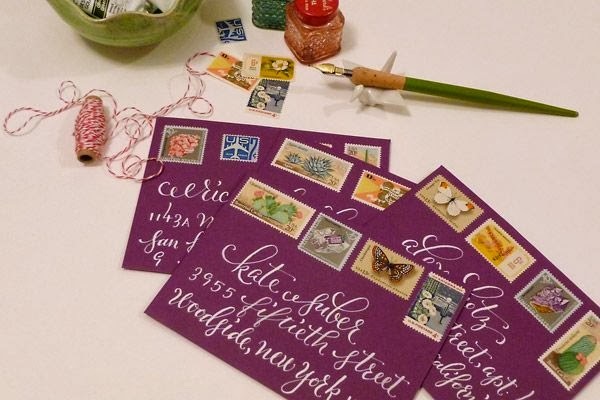 Wouldn't we all love to have our envelopes look like the ones below? And that color! I've created a new art cart, filled to the brim with art products. 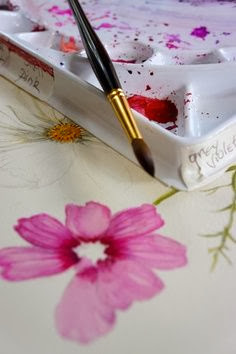 My new watercolors are front and center so I'll be including lots of inspiring art photos in my monthly boards. Just pick up the brush and start. I'm intimated for sure but it's not gonna happen if I don't try. I love flowers and gardening so it's fun to search my floral boards for arrangements or floral finds that match my monthly theme. I could use some fresh flowers right about now. Talk about a mood booster. I have lots of boards dedicated to food and drink so not try to see how a food find can find it's way into my monthly mood boards. 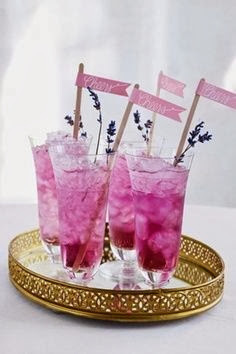 I don't know what these fruity looking concoctions are but they sure look delightful. Purple Kook-Aid is calling me now. Home decor always plays a huge part in determining color palettes and designs for our paper industry. It's fun to search my magazines, especially Pottery Barn, to see what's coming next. 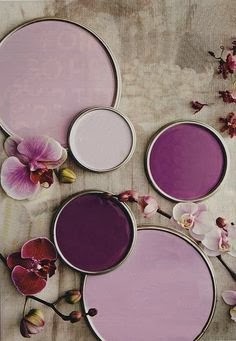 Am I going to create a Radiant Orchid room? Probably not but it's sure pretty to look at. I could definitely see me translating this photo into a radiant orchid, chartreuse and linen color scheme for a paper project though. 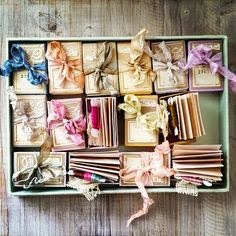 The idea is to use my monthly inspiration boards as a spring board for your own creations. I'll leave you with this for today, friends. Be sure to check out my entire January Pinterest board. To see the entire collection of photos one board really makes the creative sparks fly. Enjoy! I've already got February and March boards in progress, I was so excited to start this new feature. I'll be back soon with some new creations. Yes, I'll be sharing the rest of my December Memories album too as I finish it up. You can check out my 2014 cover page and a blank template for my first week of Project Life 2014 over at the Gossamer Blue blog here. Here's to a great, new year! *Great* post Mish!! Truly great post!! I'm planning to do a similar but different series on my own blog (not Pinterest related but a different theme each month etc). You've really got my head swimming with ideas though! Thank you!! I love this post! It really inspired me. I am excited to see where you take your blog. I have been waiting for you to return to card making. I find great inspiration from your talents. My craft room walls have been painted various shades of orchid for years. It is a happy, uplifting colour. All this sounds very exciting! It is so interesting and motivating to see designers and companies introducing their new plans for 2014! I was so excited to read this post for many reasons. I love your idea of a monthly Pinterest inspiration board!! I have been working to come up with a new creative goal for myself and I hope you dont mind that I follow your lead and create with you on this new idea. I checked out your January board and it is amazing and it has already kicked in my creative thinking (thank you). Another excitement in this post is your statement of doing more cards!!! Yah!! Super excited about this since I am primarily a card maker myself. 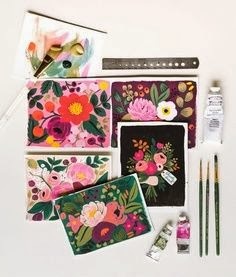 And another great thing in this post is your love for Rifle Paper Company, I LOVE their products/style. I have many of their products. I am so excited to follow you along on all of this, my creative new year is off to a great start with you!-- Diana F.